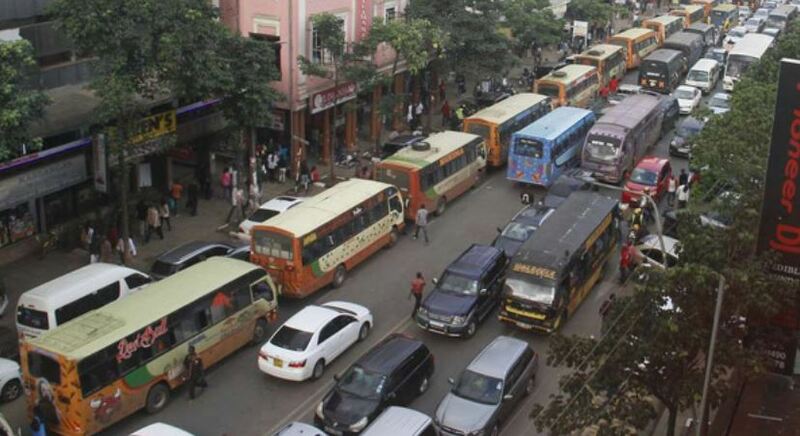 Nairobi County has announced plans to convert the busy and congested Moi Avenue into a one-way street. Transport and Infrastructure executive Mohamed Dagane said the change will help accommodate the traffic that will be brought by the implementation of the much-hyped Bus Rapid Transit (BRT) project. “We are also working to see that all illegal termini and stages are done away with and we are going to make sure we stick to the gazette notice of May 2017 in terms of making sure that only designated termini are the ones to be used,” he said. City Hall also intends to install more modern CCTV cameras and streetlights in the Central Business District (CBD) to enhance security. This is in addition to Sonko’s government hiring traffic marshals who will man the many junctions across the city with the aim of reducing congestion during peak hours. Dagane said that City Hall, together with the National Transport and Safety Authority (NTSA), has established the Nairobi Transport and Safety committee in accordance with NTSA Act, 2012 to tackle security threats in Nairobi. “For a more efficient and free flow of traffic, we also plan to set up an integrated system to manage traffic lights across the whole city, starting from the city centre,” he said. The Nairobi County official further revealed that City Hall officers have been put in place to ensure that the ban on boda boda operators from the CBD is enforced to boost security.